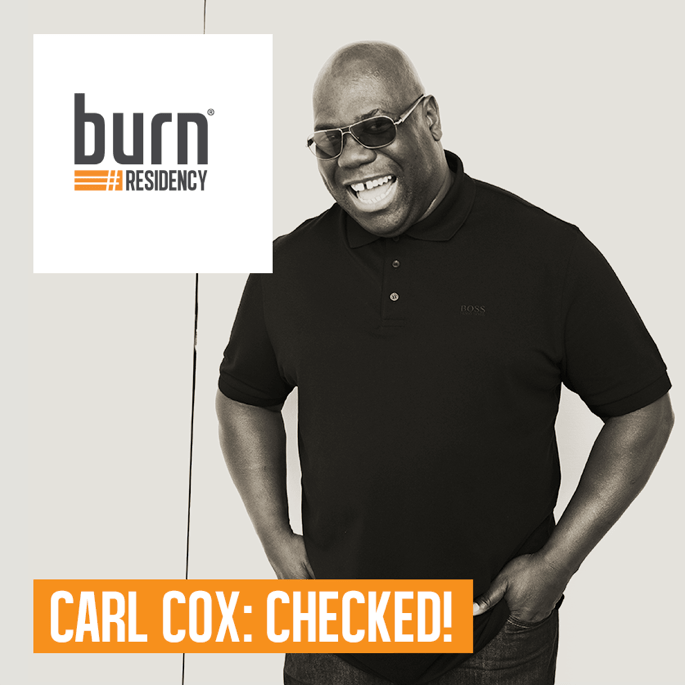 With just days to go until entry for this year’s competition closes, burn Residency have enlisted the skills of international dance music icon Carl Cox as their final headline mentor. Thousands have already applied, all hoping to be in with the chance to realize their dreams and become the next superstar DJ, with five young hopefuls winning a summer long residency spinning the decks at some of the hottest clubs in music mecca, Ibiza. A true veteran and pioneer of the electronic music scene, with a career spanning four decades, Carl will be on hand during the bootcamp to share his own unique and highly valuable insight into what it will take to become the next top resident DJ. Quite something from a man who is about to go into a record-breaking 13th consecutive year of his residency at Space Ibiza this summer. Also joining Carl and Pete Tong on the island will be Philipp Straub, manager of Austrian artist agency Titan, who will take the role of head mentor and judge, and cast his critical eye on the contestants throughout the entire program. After the phenomenal success of last year’s program, which saw thousands of applications across 90 countries worldwide, burn Residency has firmly cemented itself as the biggest global DJ competition – committed to finding and nurturing the next DJ superstar. Back for its biggest and best year yet, not only are there five residencies up for grabs now, in a new twist for 2014 they are raising the stakes by introducing a 100,000 EUR grand prize which will be invested in one finalist’s DJ career. What sets burn Residency apart from all other contests of its kind is its commitment to creating the next DJ superstar. Its unique and demanding bootcamp program is the ultimate platform to do this, giving contestants a once in a lifetime opportunity to experience first hand every aspect of life on the island; receiving expert tuition and extensive guidance from Carl and Pete, building vital industry contacts and gaining maximum exposure to ensure them the best possible start in a world that to many would otherwise be out of reach. Turning dreams into reality, as the biggest global DJ competition continues to grow, so too does its number of success stories. Spending their summer tearing up the dancefloors of Café Mambo, Sankeys Ibiza and Privilege, taking part in burn Residency has been a truly life changing experience for last year’s winners Tommy Kid, Hyena and Lea Dobricic. Six months on Tommy Kid is setting up his own record label Re-Sources, Lea has taken to the stage at festivals such as Monegros and Exit and Hyena has been asked back for his second residency on the white isle. Want to see your dreams realized like Hyena, Tommy Kid and Lea? If you think you have what it takes to take your sound to the masses and become the next DJ superstar then this is your final chance! Closing date for entries is 15th March 2014.